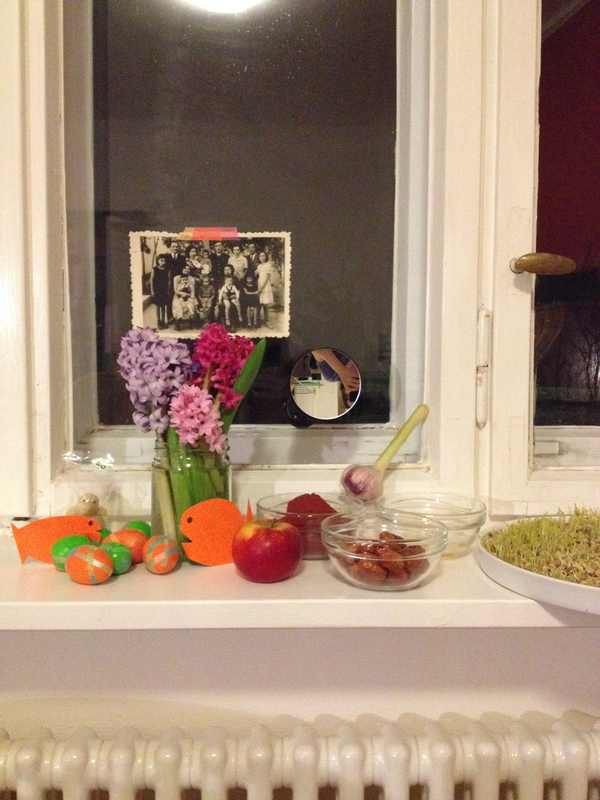 last week was norooz, iranian new year, and i planned on going home to celebrate with my family. as fate would have it though, i caught a nasty cold, and a lingering fever kept me here in vermont. there are only three other iranians in the whole state. [unconfirment, but those are my feelings, and feelings, as they say, are fact.] i went over to a friends house on the day i was supposed to catch my train, and i was greeted by this. 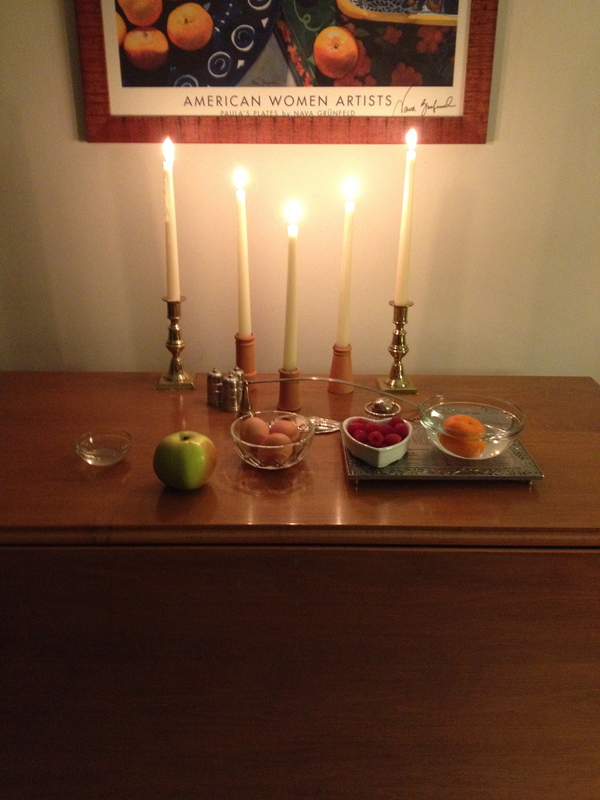 she set up a haft-sin for me! that’s what i call a good friend. this is our last minute haft-sin that i bought wheat grass for because i didn’t know i’d need to make my own. oppie. 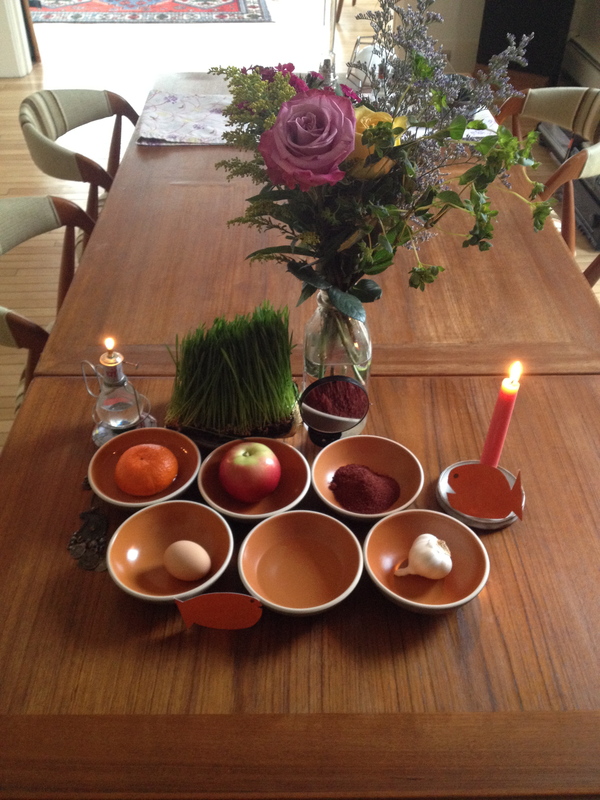 last year’s haft-sin in berlin. eddie was in the u.k., so i actually had the hyacinth which he has banned in our house[s] because the smell makes him angry and hulk-like. also, i was sick last year too. not a theme i’d like to indulge in again.